The United States is ready to begin talks on the Columbia River Treaty after the U.S. State Department finalized a document agreeing to negotiate with Canada. The treaty provides the framework for flood control and hydropower generation on the Columbia River, with the United States interested in expanding salmon recovery. Sen. Maria Cantwell, D-Wash., made the announcement after speaking with Secretary of State John Kerry on Friday afternoon, just hours after the document was approved. Canadian officials refused to begin talks until the U.S. settled on the negotiation parameters, laid out in the newly completed document, called a Circular 175. "(I) hope that now the Canadian government will come to the table and start detailing what a new hydro agreement will look like," Cantwell said. "We're just sitting at the table waiting." Cantwell said earlier this year that a modernized treaty could serve as a template for strategies to adapt to the climate challenges on water resources. It also could allow the two nations to work jointly on energy solutions such as a smart electric grid with intermittent power, grid-scale storage and clean infrastructure solutions. Canada has not finished its process to develop negotiation limits and has yet to name a chief negotiator. The U.S. appointed Brian Doherty, a senior foreign service officer, as its chief negotiator last year. But Cantwell said the U.S. preparations should serve as a "call to action." "I hope the United States being ready to go is further encouragement to Canada to get going with the agreement," she said. In late 2013, a regional recommendation was released after collaboration among Northwest states, the Columbia Basin tribes and federal agencies to reach consensus on river management issues that affect agriculture, power production, the environment and river use for navigation and recreation. Northwest congressional leaders have been urging the Obama administration to move forward to modernize the treaty since 2014. "We shouldn't waste time speculating about what happens next year" with the change of administration, but move forward with negotiations, Cantwell said. She pointed out that Prime Minister Justin Trudeau cares about the Northwest, providing an opportunity for renegotiating the treaty. She spoke with Trudeau about the treaty when he visited the White House in March. "I'm for making it a model for relationships between the United States and Canada," Cantwell said. The Columbia River Basin has 274 hydroelectric dams, making it one of the most hydroelectrically developed rivers in the world. But once the treaty turned 50 years old in 2014, either country could move to end or change the treaty by giving 10 years notice. Flood control provisions of the treaty automatically expire in 2024. 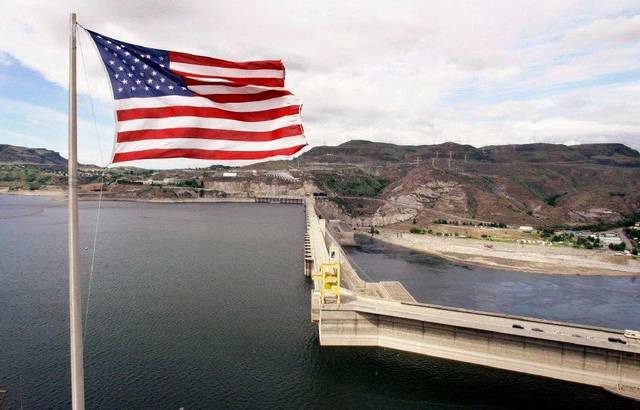 The United States prepared by assigning the Bonneville Power Administration and Army Corps of Engineers to create the regional recommendation, which balances flood control and hydropower generation with the added priority of salmon recovery.